It is always interesting to find out what other people do and how their day is structured. So we got in touch with James Golden aka The Fitness Pro. 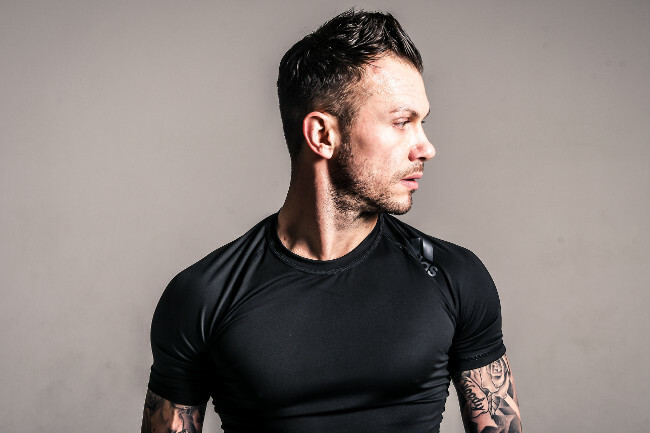 James graduated from Bucks New University with a sports science degree and is a fitness professional for the prestigious Daylesford Brand and head of fitness for YOLO retreats. I’m a fitness professional and have been in the health and fitness industry for 20 years now. I have a few roles, which include being the head of fitness for YOLO retreats, a fitness consultant for Bamford Haybarn Spa at Daylesford in the Cotswolds alongside looking after a number of VIP clients in London. I am also an ambassador for a number of health and fitness products and services. My life in fitness has a variety of responsibilities all under my own personal brand of the ‘Fitness Pro’. Wow, that’s a lot, so what does a typical day look like for you? My week is typically split between London and the Cotswolds, where I live. I provide health and fitness services to Daylesford Organic Farm in the Cotswolds on a Monday and Thursday. On Tuesday morning I travel to London and spend two days there with a series of clients, providing fitness sessions and reviewing their lifestyle programmes. I return to the Cotswolds on Wednesday evening for my second day at Daylesford Organic Farm. I then spend Friday back in London, returning early evening to spend the weekend with my family, unless I am hosting a fitness retreat for YOLO retreats or guest speaking at an event. My passion is health and fitness and I get to apply myself to a job that I love everything about. There’s a huge amount of satisfaction helping someone change their life, making them feel good about themselves and helping them achieve a goal they didn’t think was possible. I absolutely love talking about health and fitness and never get bored of that. I have 20 years’ experience and I’ve been fortunate enough to have had a really enjoyable journey. I’ve presented many group fitness concepts in the UK, managed fitness clubs in the best city in the world, London. I’ve consulted with the government on all things fitness and have owned a personal training studio. It’s fair to say I’m long in the tooth in the industry now and part of the old school. It’s hard to pick just one moment, but one that stands out is delivering my first ever presentation spinning class of over 50 bikes at a fitness event in Germany. The fitness market was only just beginning to become edgier at that time and was the first of its kind, with a mini laser show and DJ pumping the tunes, the room had so much energy, it was bursting. I am less involved in group fitness nowadays but love the way that group fitness has evolved in recent years. It has been great to see as still very passionate about it. I get up and feel so blessed to be doing what I do, but the travelling around on certain days can be hard. It does supply thinking time between the physical demands of client sessions though. My days are completely varied and I always believe that today is going to be a good day. You’re on the go a lot, how does work with food, what does a typical day’s food look like for you? Every day for me is different. I still try and train every day, even with the demands of my job, the travel and a family. In an ideal day, I would train first thing at 6.30am and be ready for the day, having breakfast by 8 am, where I’ll typically have a hearty bowl of porridge with blueberries to fuel me for the morning ahead. I’ll nibble on a protein bar at around 10 am with a piece of fruit around 11 am, before lunch at around 1 pm. A good lunch is very important to me and will always run with a high protein, low carbohydrate option. I am also partial to a chicken, rice and salad from Nandos if the opportunity presents. I’ll have a late afternoon snack around 3/4pm, which will either be a protein shake or beef jerky with a piece of fruit. I’m often home around 6/6.30pm and I’m fortunate enough to have my wife who cooks everything from fresh and knows exactly what I need/like. A main meal can range from a naked burrito to lamb koftas to chilli and rice. I may have a small bowl of Greek yoghurt with almonds before 7.30pm but I won’t eat after 7.30pm on a weekday and only have a cup of tea before bedtime. I like to eat every 2 hours, on the right foods and staying clear of processed food/refined sugars. I limit my coffee consumption to two flat whites per day and make sure I drink at least two litres every day. What advice would you give to someone looking to get into the health and fitness industry? 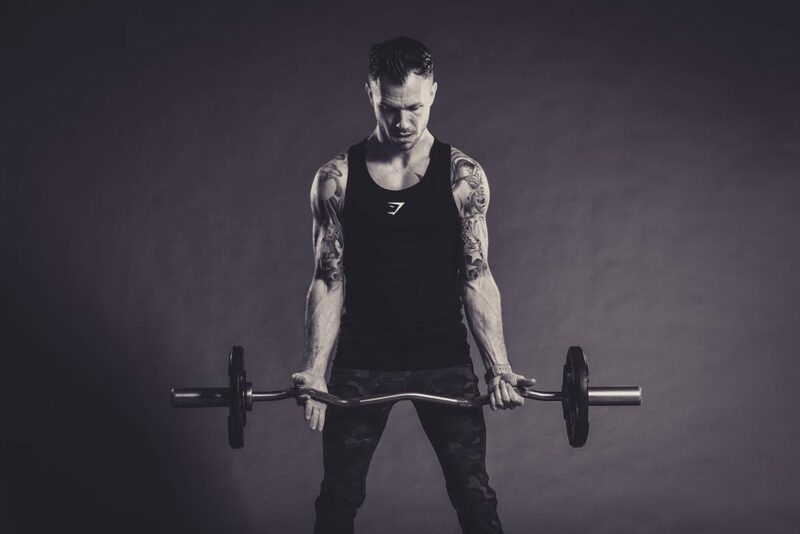 The fitness industry has evolved in the last 10 years and there are many opportunities which didn’t exist when I was making the first steps into fitness as a career. My advice would be to anyone starting out to come into it for your passion for health and fitness and learn to walk before you run. Master the basics and always keep a watchful eye on what is evolving around you. Don’t get sucked into promoting fad crazes and quick fix diets. Focus on doing the basics well to help people achieve their goals and you will succeed. Your best source of generating new clients is through referral and being spoken about as the person that helped to inspire them to live healthily. My last tip is to network and meet people wherever you can. You create your own opportunities and make your own luck. They won’t find you. Good Luck!